Dedicated to supply the best quality fruit for nearly 20 years, Golden Bay Fruit is born from multi-generation growers who decided to gather to create a sustainable business for future generations. Today Golden Bay Fruit is home to over 750 hectares of apple orchards and over 100 hectares of kiwifruit, lead by experienced and passionate people. Birdhurst Orchards is an multi-generation orchard and packing business located in Motueka, New Zealand. Our family has lived and farmed land here for three generations. It was the brothers Kerry and Farran Wilkins who established Birdhurst, managing the transition from 15 acres of tobacco and 48 head of cattle, to a thriving apple and kiwifruit orchard business. 67 hectares of Zespri Gold kiwifruit orchards. As the business grows, both Heath and Rhys are committed to continuing family traditions and upholding the balanced family values to create a sustainable business for future generations and the wider community. Heywood Orchards is a family owned company that is 3 successive generations young. It started with Arthur and Lilius Heywood, who purchased the property known affectionately as “Home Block” to farm fruit and tobacco alongside the cows, pigs and chickens. When Paul and Mike took the torch from their parents in the 60’s, they managed the transition from tobacco to kiwifruit and apples all the while growing the operation. 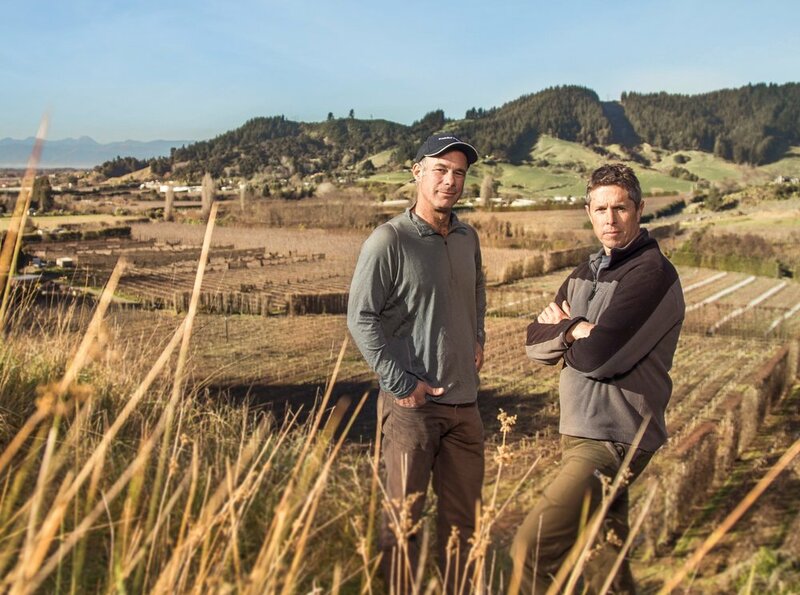 Today, under the direction of Evan Heywood and Scott Heywood, the company grows 80 hectares of apples and 30 hectares of kiwifruit, spread from the alluvial river soils of the Riwaka and Motueka valleys to the Hau stones of Motueka, and also on the clay of the Moutere hills. As Heywood Orchards have grown, we have taken special attention to preserving the core values that were established by Arthur and Lilius. Their dedication and togetherness has provided the backbone that has helped the business thrive in the face of adversity, ensuring we continue to deliver premium fruit that are true to this beautiful part of the world. Ashton Wood and his son Donovan are third and fourth generation orchardists. The business dates back to Ashton’s grandfather who immigrated from the UK and established the first family orchard in the Waiwhero, Nelson in 1921. Following a brief stint as an owner and operator of a bulldozer, Ashton returned to the family orchard to take the reigns from his father. Taking a steady measured approach, Ashton together with his wife Anna worked tirelessly to grow the family operation. 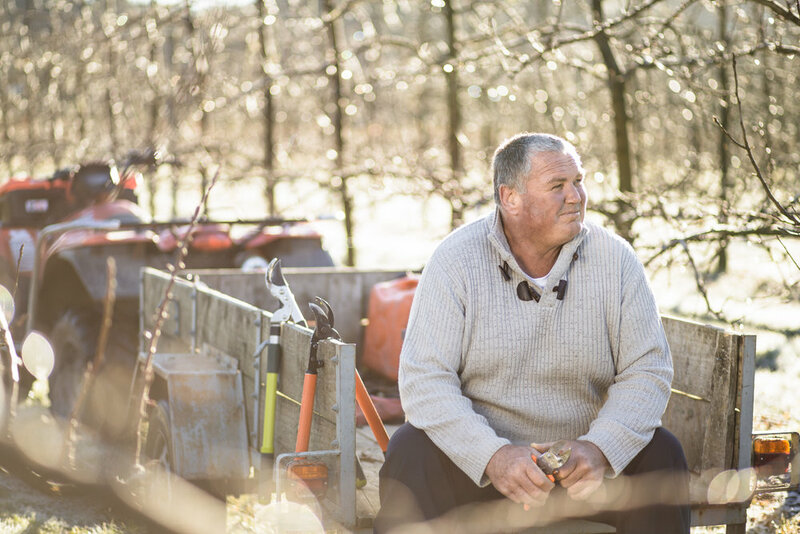 Today, Ashton’s eldest son Donovan has entered the fold, carrying on the family tradition of growing premium fruit and building 62 hectares of sustainable orchard business. Both Ashton and Donovan share the core values of honest hard work, integrity and the importance of family. For them it was a natural decision to join the Golden Bay Fruit and bring a new approach to exporting premium fruit. Don Urquhart’s involvement with apples began in the early 1970’s when he decided to swap the chill of Scotland for the climatic and human warmth of Motueka. While he was at it, Don felt it was a good time to shift away from traditional farming and dip his toes into horticulture. In 1975, Don purchased his first orchard, which has steadily grown to 29 hectares of high quality apples. For the last 40 years, he has ridden the fruit industry roller-coaster but remained unshaken in the belief that if you grow premium quality fruit, then there is always a living to be made. Like many other growers, following the demise of single desk selling, Don found it difficult to find an exporter who would market his fruit at reasonable costs. In Golden Bay Fruit, however, Don found an organisation that was transparent in its approach to marketing the fruit and the costs incurred and did everything to maximise returns to growers like himself. Keith Durrants’ horticultural and agricultural pedigree runs deep in the rich soils of Motueka. Three generations of his family have gained their livelihood from the land, initially as tobacco growers. In the early 1980’s, Keith’s father David decided to supplement the tobacco crop with kiwifruit. In 1989 Keith himself planted his first apples. He has since developed and taken over both the 3 hectares of kiwifruit and 8 hectares of apples. Keith Durrant opted to join Golden Bay Fruit from Day One. What particularly appealed to him was that Golden Bay Fruit was a family operated business that took a fresh and energetic approach to growing and marketing their fruit.